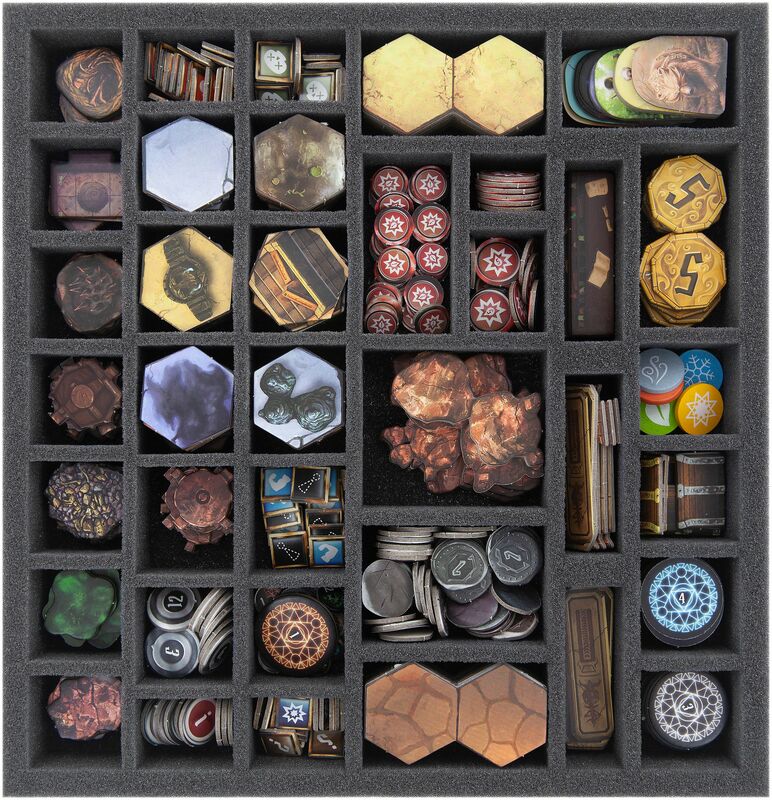 The popular board game Gloomhaven comes with massive amounts of game components: Hundreds of Tokens, Discs, Standees and cards need to be organized. 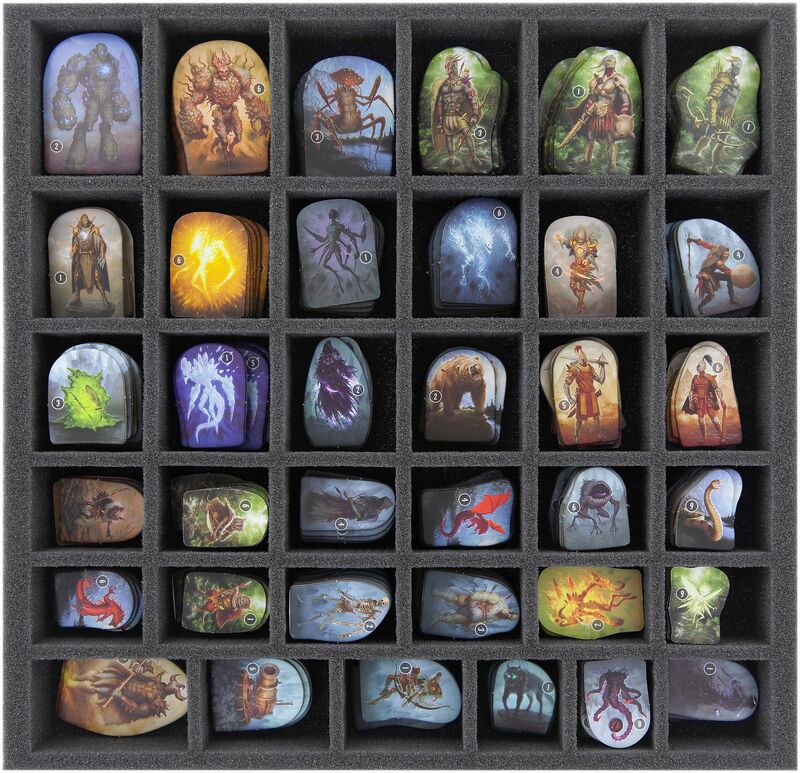 In addition, 18 miniatures long for a safe place to protect them from getting damaged. 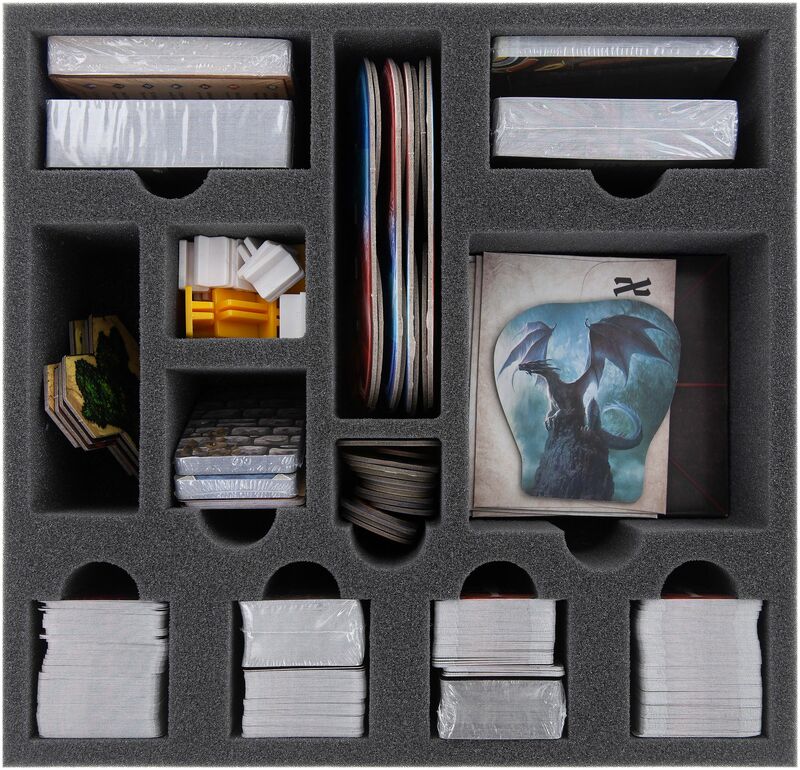 Our foam set for Gloomhaven includes three custom inserts for the game box which help you to get sorted and a sturdy MINI MINUS bag with a matching insert for the miniatures. The Set thus solves both problems in one sweep. 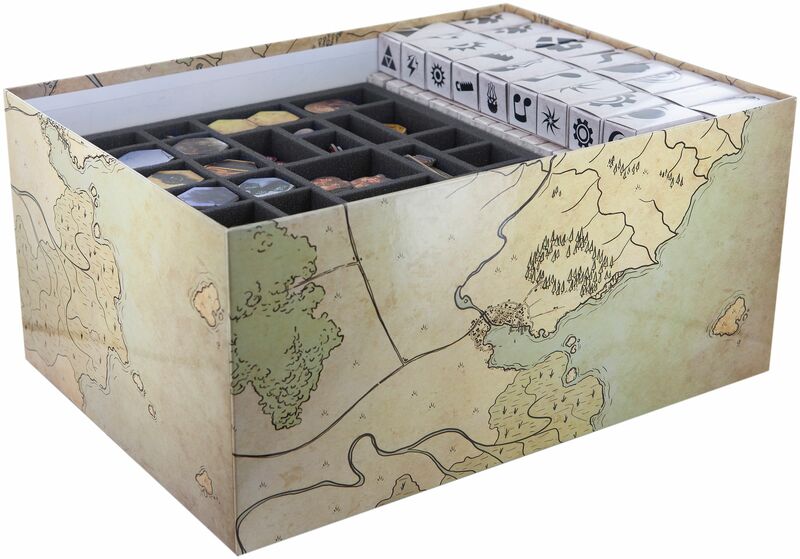 Three custom inserts for the board game box allow you to clearly organize your game components. One insert is reserved for cards, Sheets, Sealed Envelopes and HP/XD-Dials. 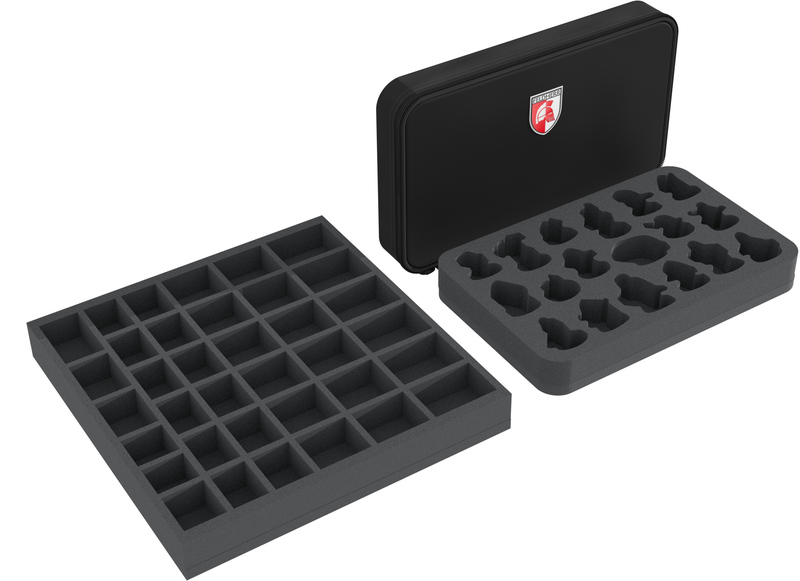 Two inserts will hold all the Tokens, Discs and Standees. 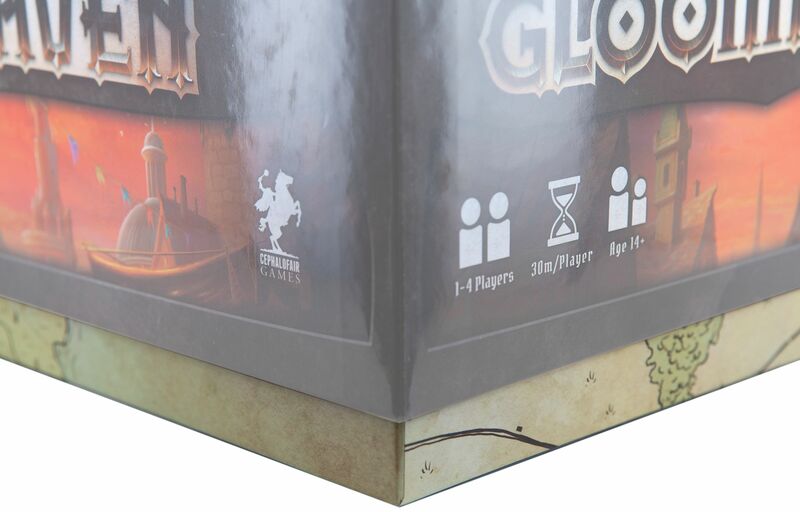 The three inserts for the game box are meant to be placed next to the Character Tuck Boxes inside the game box. 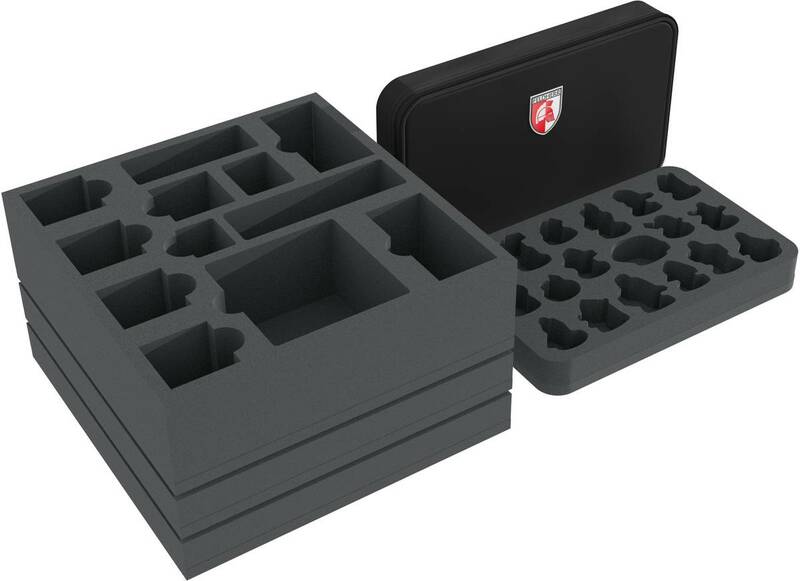 If you organize you components this way, nothing will slip or wobble in the game box. 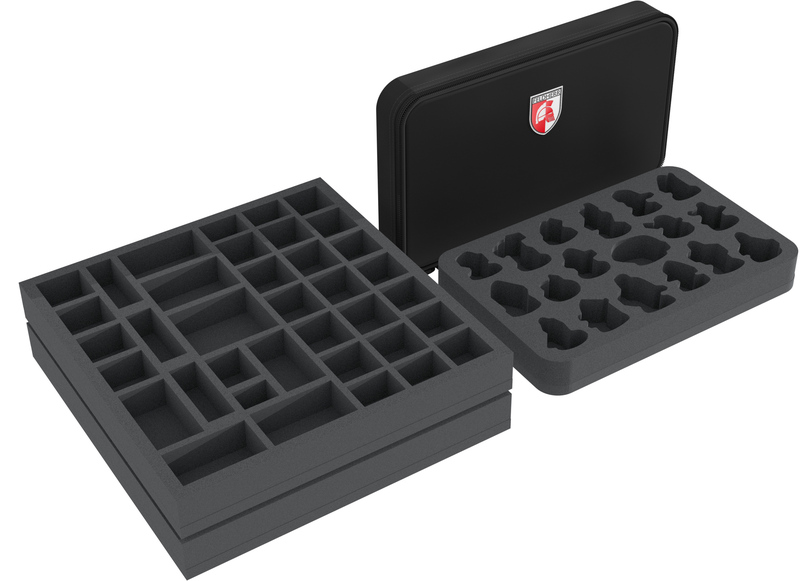 The MINI MINUS bag comes with an additional, custom insert for your miniatures: There is thus no need to worry about the well-being of your models ever again. 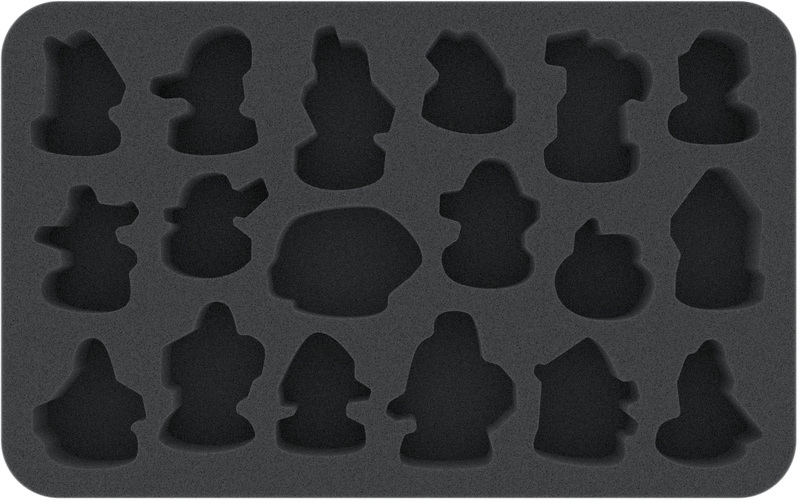 Includes two matching foam toppers: one for the game box, one for the MINI MINUS. The toppers are placed on top of the inserts and make sure everything stays in place. 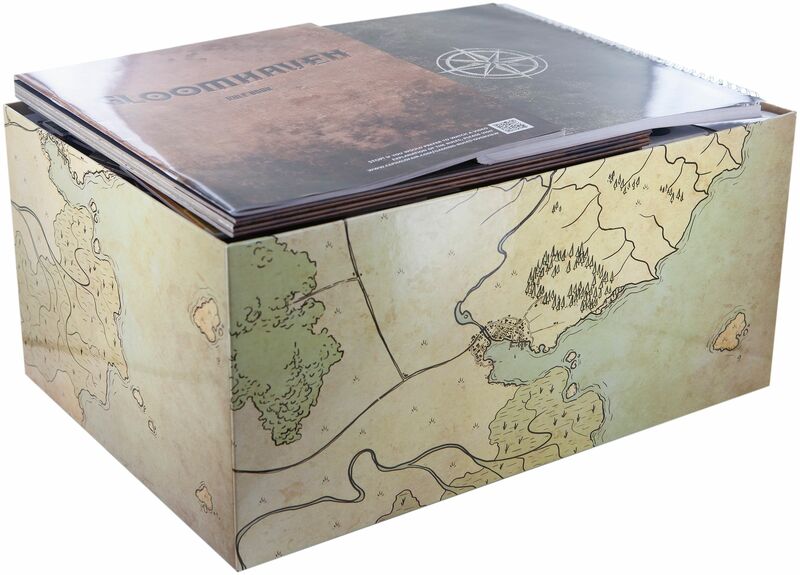 The larger game components like the rule book, the scenario book and the Map Boards are simply placed on top of the box-inserts (the set will extend ca. 3 cm over the edge of the game box). The MINI MINUS is best stored outside the game box.